Originally I was simply going to make this a Rebirth workshop but I thought there are a LOT of potential fun designs to be had with the New 52 too. I guess the standard format for this is to edit new design ideas into the OP, so I will be adding those as they come. Any ideas are appreciated and I've already thought of a bunch of things that merit being worked on, and I'll start some write-ups in a little bit. CLASS = I'm honestly not sure on this one. Ideas appreciated. Start the game with the Glyph of Medusa Mask on this card. Psycho-Pirate cannot lose the Glyph of Medusa Mask by receiving wounds unless he is destroyed. Whenever Psycho-Pirate uses the Glyph Of Medusa Mask, add 5 to the 20-sided die roll. At the start of the game, choose a Destroyer Unique or Event Hero you control to be Psycho-Pirate's Master. After taking a turn with Psycho-Pirate's Master, you may take an immediate turn with Psycho-Pirate, and you may not take any additional turns with other figures you control except by Memories Of Another Multiverse. At the start of the game, you may choose any other Unique Heroes you control that would begin the game on the battlefield and instead place them on this card. You may draft multiple figures with the same Secret Identity if they begin the game on this card. After taking a turn with Psycho-Pirate, if Psycho-Pirate did not use the Glyph of Medusa Mask this turn, you may remove one of the chosen figures from this card and place it on any unoccupied space within 2 clear sight spaces of Psycho-Pirate. Take an immediate turn with that figure, during which it cannot move, and you may not take any additional turns with other figures you control. Psycho-Pirate is the figure I am least certain of right now. I'm thinking of just scrapping the bonding power and replacing it with a defensive power related to his shapeshifting/reality altering ability that I forgot he exhibited to make him less squishy, and maybe throwing the summoning power out the window too. When this glyph comes into play, place one red Anger Marker, one pink Love Marker, and one yellow Fear Marker on this card. Instead of attacking with this figure, you may choose a figure within 4 clear sight spaces and roll the 20-sided die. If you roll 11 or higher, place one of the markers on this card on the Army Card of the chosen figure. At the end of the round, or whenever another marker from this card is placed on the chosen figure's card, return the marker from the chosen figure's card to this card. A figure with the Anger Marker on its card adds one to its attack, subtracts two from its defense, and cannot leave engagements. When you place the Love Marker on a figure's card, choose one other figure within 4 clear sight spaces to be that figure's Desire. A figure with the Love Marker on its card cannot attack its Desire. A figure with the Fear Marker on its card adds one to its defense, subtracts two from its attack, and cannot roll for leaving engagement attacks. Start the game with 4 green Battery Markers on this card. Add one to this Green Lantern's Move, Range, Attack, and Defense numbers for each green Battery Marker on this card. After moving and before attacking with this Green Lantern, you may choose an adjacent figure and remove a Battery Marker from this card. You may remove any marker on that figure’s Army Card, or two markers if they are both Wound Markers. Anytime this Green Lantern or a figure you control within 3 clear sight spaces is attacked by an opponent's figure and at least 1 skull is rolled, before rolling defense dice normally, if there is at least one green Battery Marker on this card, you may roll the 20-sided die. If you roll 1-13, remove one green Battery Marker from this card. If you roll a 14 or higher, ignore that attack. This one's been pretty hashed out, I'm happy with where we stand on this one now if no-one else has any objections. If there are any other August Heart figures on the battlefield, reduce Godspeed's attack by 1 and his movement by 3. When Godspeed defends against an attack and you roll at least one blank, Godspeed takes no damage and may immediately move up to 4 spaces. Speed Force Clone may move through all figures, never takes leaving engagement attacks, and does not have to stop his movement when entering water spaces. This figure may not start the game on the battlefield. This figure may not be placed on the battlefield if there is no other August Heart figure on the battlefield. This figure may be placed on the battlefield even if it has been destroyed. When this figure is placed on the battlefield, remove all wound markers on this card. At the end of each round, roll the 20-sided die. If you roll an 8 or lower, all August Heart figures on the battlefield take one wound. After revealing an Order Marker on the Army Card of a Godspeed you control and taking a turn with that figure, you may take an immediate turn with Speed Force Clone, and you may not take any additional turns with other figures you control. If this figure attacks a figure engaged with Godspeed, add 1 to its attack. Thanks to Ronin for getting this one sorted out with phrasing. Unless anyone has any further thoughts on Godspeed I'm pretty happy with where he's at. After revealing an Order Marker on this card, before taking a turn with Deathstroke, you may first reveal an "X" Order Marker on this card and take a turn with up to two other Unique Sidekick Heroes with the Conflicted personality you control within 6 clear sight spaces of Deathstroke. You may activate the chosen Heroes in any order. When Deathstroke would receive one or more wounds, you may place up to 2 IKON Markers on this card. For each IKON Marker placed, ignore one wound. Deathstroke may never have more than four IKON Markers on this card. When using this special attack, you may may remove any number of IKON Markers to add one attack die per IKON Marker removed to this attack. If six dice are rolled for this special attack, treat this special attack as if Deathstroke had Super Strength and the defending figure rolls two fewer defence dice. After using this special attack, you may not use Kinetic Dispersion Special Attack or place IKON Markers until the end of the next round. Pretty happy with this one thanks to Bats and Nobody's nerf suggestions. Need Japes to look at it though since I know he has existing plans for this one. Bizarro has the species of Kryptonian in addition to the species listed on this card. When Bizarro rolls defense dice against a normal attack from a figure that is not a Kryptonian, if at least one shield is rolled, all blanks rolled count as extra shields. If an opponent's figure within five clear sight spaces of Bizarro targets an Interloper you control for a normal attack, you may immediately move Bizarro adjacent to the attacking figure, if possible, and the attacking figure cannot attack any Interloper other than Bizarro this turn. If Bizarro does not start his turn within 5 spaces of an Interloper you control, roll the 20-sided die. On a 1-5, Bizarro must move adjacent to or as close to an Interloper as possible, and may not attack this turn. This one's a simpler design to work with Red Hood and the Outlaws (Interlopers). I don't know if this one will need any real tweaking unless anyone has any better ideas to volunteer. Start the game with one Mistress Marker. Once per round, before taking a turn with Artemis, you may either place the Mistress Marker on this card or remove the Mistress Marker from this card. While this card has a Mistress Marker on it, add 2 dice to Artemis' attack and subtract 2 dice from Artemis' defense and subtract 2 from Artemis' movement. Once per round, you may remove the Mistress Marker from this card to use Axe Throw special attack. 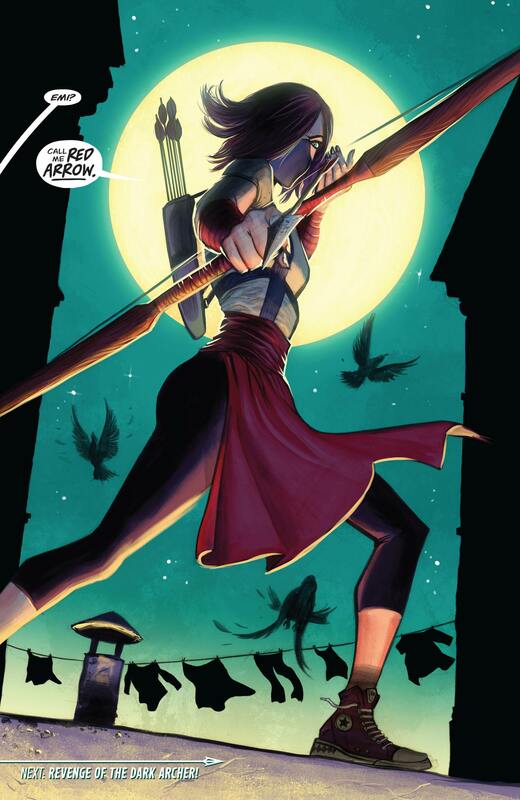 Artemis may target any figure with this attack, even if she is engaged. If this card does not have a Mistress Marker on it, whenever Artemis rolls a skull against a figure leaving engagement with her, that figure may not leave the engagement with Wonder Woman this turn. If this card has a Mistress Marker on it, Artemis rolls two unblockable attack dice against figures leaving engagement with her. Completely happy with Artemis if everyone is. After revealing an Order Marker on the Army Card of an Archer you control, you must immediately roll the 20-sided die. If you roll 6 or lower, before taking a turn with that Archer, you must take an immediate turn with Red Arrow. If you roll 7 or higher, after taking a turn with that Archer, you may take an immediate turn with Red Arrow. Red Arrow cannot take a turn if any figures other than that Archer attacked this turn, and if Red Arrow takes a turn with this special power, you may not attack or take any additional turns with other figures you control other than that Archer. If you revealed an Order Marker on this card, Red Arrow does not need line of sight to attack non-adjacent figures, and after attacking with Red Arrow, you may attack one additional time. For each defense die Red Arrow receives from height advantage or occupying a Shadow Tile when defending against a non-adjacent attack, Red Arrow receives one additional defense die. Thanks to johnny for this one. Again assuming no-one has any problems with this design I'm happy with it. After taking a turn with Starfire, you may immediately either move 2 other Interlopers you control, or attack with 1 other Interloper you control. Choose a figure to attack. Any figures adjacent to the chosen figure are also affected by this special attack. Starfire only needs a clear sight shot at the chosen figure. Roll attack dice once for all affected figures. For each skull rolled, you may roll another dice until no skulls are rolled. Each figure rolls defense dice separately. Starfire cannot be affected by this special attack. If Starfire is not adjacent to any friendly figures and is engaged with at least one enemy figure, add 1 die to her normal attack and subtract 1 die from her defense. This Starfire's designed for Interloper synergy specifically. Start the game 2 white Life Battery Markers on this card and 1 Mimic Battery Marker. Add 2 to this White Lantern's Move, Range, Attack, and Defense numbers for each white Battery Marker on this card. At the start of each round, select one figure on the battlefield with a special power containing the words "Battery Marker". Roll the 20-sided die. Add 5 to the roll for each white Life Battery Marker on this card. 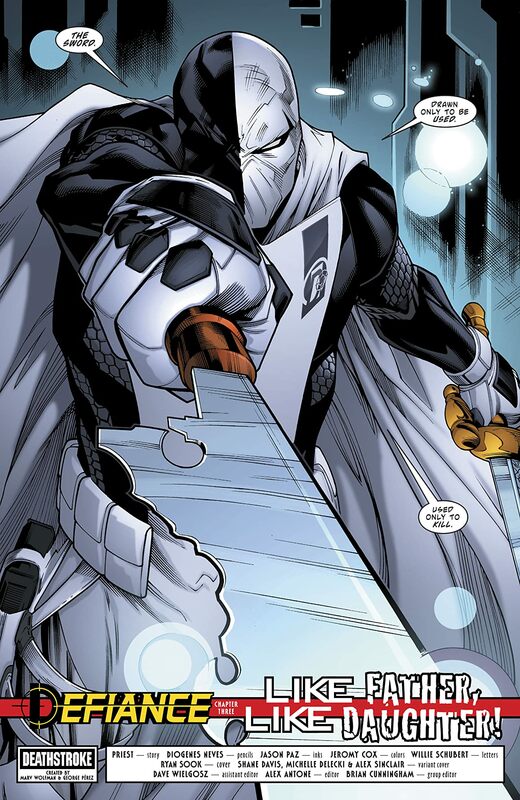 On a 16 or above, for the remainder of the round, treat this White Lantern as if it had that card's special powers, replacing that figure's name with "White Lantern". Then place the Mimicry Battery Marker on this card. Treat it as if it were the Battery Marker on the chosen figure's card until the end of the round. When a figure you control would be destroyed, you may remove 1 white Life Battery Marker from this card. That figure is not destroyed, and you may remove wound markers from its card until it has 3 or less life remaining. You may use this special power on White Lantern when White Lantern is destroyed. 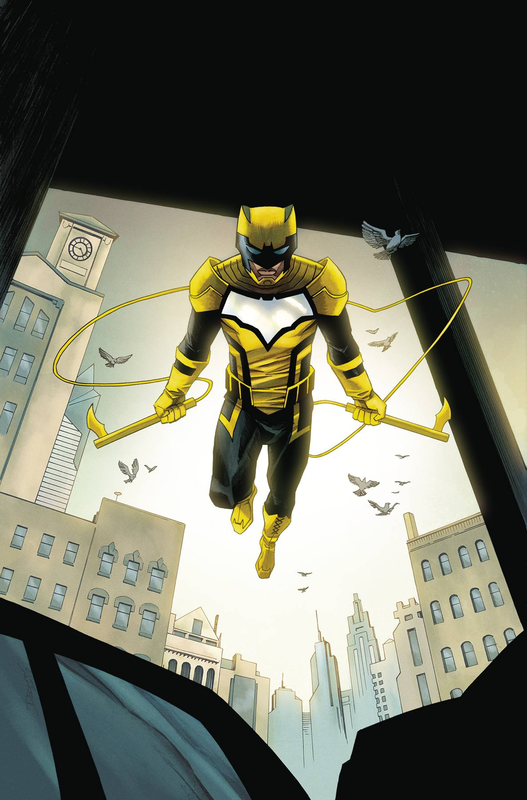 At the start of the game, choose one other Unique Vigilante Hero you control to be The Signal's Mentor. While there are an equal number of Order Markers on this card and his Mentor's card, The Signal adds 1 to his Range and Defense numbers. After revealing an Order Marker on any other Vigilante card you control and taking a turn with that Vigilante, you may take an immediate turn with The Signal. During this turn, The Signal can only attack figures engaged with that Vigilante and adds 1 additional attack die against an adjacent figure. After using this special power, you may not take a turn with any other figures. Once per round, before rolling defense dice for The Signal or a friendly figure adjacent to The Signal, you may add an automatic shield to whatever is rolled. Superboy has the species of Kryptonian in addition to the species listed on this card. When rolling defense against an attack from a figure that is not a Kryptonian, you may count one blank rolled as an extra shield. Before taking a turn with Superboy, you must roll a 20-sided die. If you roll a 3-6, you may not use any special abilities on this card this turn. If you roll a 2 or lower, you must immediately attack with Superboy’s Unstable Heat Vision Special Attack and then you may not use any special abilities on this card for the remainder of the round. 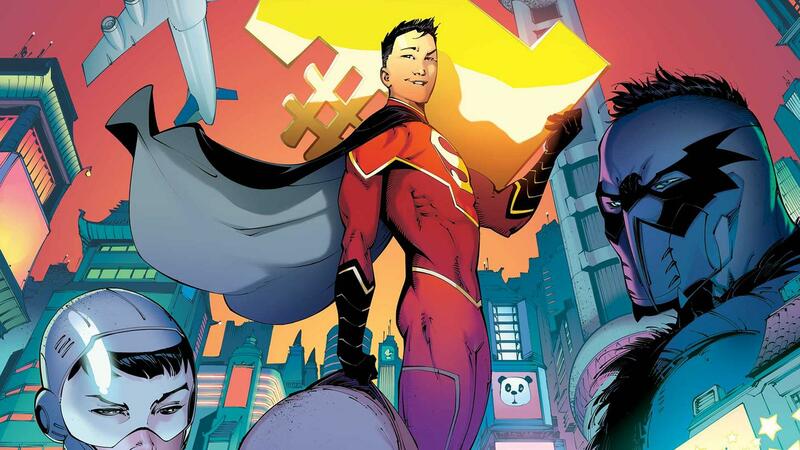 After revealing an Order Marker a Kryptonian or Sidekick card you control and taking a turn with that Kryptonian or Sidekick, if Superboy is within 6 clear sight spaces of that figure, you may take an immediate turn with Superboy. If the figure was a Valiant Kryptonian you control, you may add 2 to Superboy’s move. If the figure was a Spoiled Sidekick you control, you may add 1 to Superboy’s attack this turn. After using this special power, you may not take a turn with any other figures. Range 4. Attack 2 + Special. Choose a figure to attack and roll 2 attack dice, or 3 attack dice if the chosen figure is an Android or Destructible Object. For each skull rolled, roll one additional attack die. Continue rolling an additional attack die for each additional skull rolled until no skulls are rolled. The defending figure rolls defense normally. If you rolled a a 2 or lower with Superboy’s Hybrid DNA special, you must roll two additional attack die for this attack, and this attack affects all figures within four spaces. Roll attack dice once for all affected figures. Each figures roll defense die separately. Start the game with 8 white Trigram Markers on this card. Whenever Super-Man or a friendly figure within clear sight of Super-Man receives one or more wounds, remove a Trigram Marker from this card. Instead of moving or instead of attacking with Super-Man, you may place a Trigram Marker on this card, to a maximum of 8. Trigram 7 – Opponents' figures with the Magical Defense special power cannot target Super-Man with a special power or special attack. Opponents' figures with the Magical Defense special power cannot target Super-Man with a special power or special attack. Last edited by ALEXAN2507; October 8th, 2018 at 07:45 PM. Is that who you meant by Nobody? We were talking Doom Patrol so I assumed you meant Mr Nobody, lol. I've been wanting OMACs for a while, either the newer versions or the classic Jack Kirby version, but I don't know enough about them to feel like I can do an accurate write-up. Would you want to do a specifically N52/Rebirth version of Psycho-Pirate or the more classic version? From what little I understand there are differences. No no, when I was talking to you I meant Mr Nobody, it only occured to me earlier today it could be fun to do something with the Batman character Nobody too. I'd probably have not tried to group these two together. Lots of opinions on these two "universes" I for one am really enjoying Rebirth...New 52 not so much. There were some gems though and the Court of Owls stuff is one of them. Soundwarp SG-1 has some solid takes there. There are a few others I've seen discussed as well. Btw did you get my message about Arsenal? I've been turning over ideas for a New 52/Rebirth Red Hood. I'll try to collect my thoughts here in a little bit. Interesting...I stopped reading regularly not long after New 52 started. 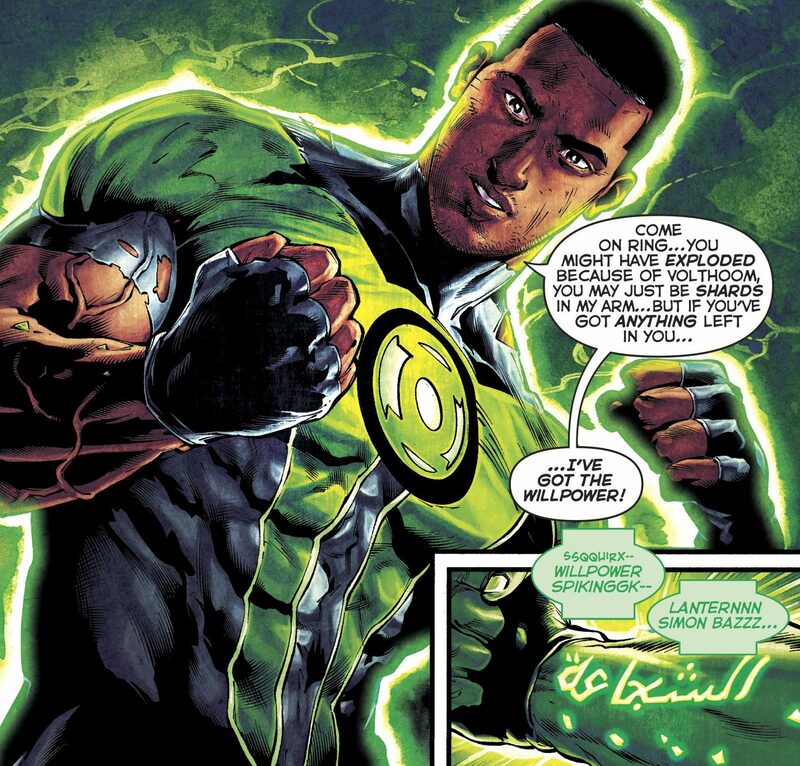 Where has he popped up in Rebirth, if you don’t mind me asking? Tom King's Batman run. He features pretty prominently story-wise in the "I Am" arc trilogy (I Am Gotham, I Am Suicide, I Am Bane), and the Medusa Mask comes into play in The Button.